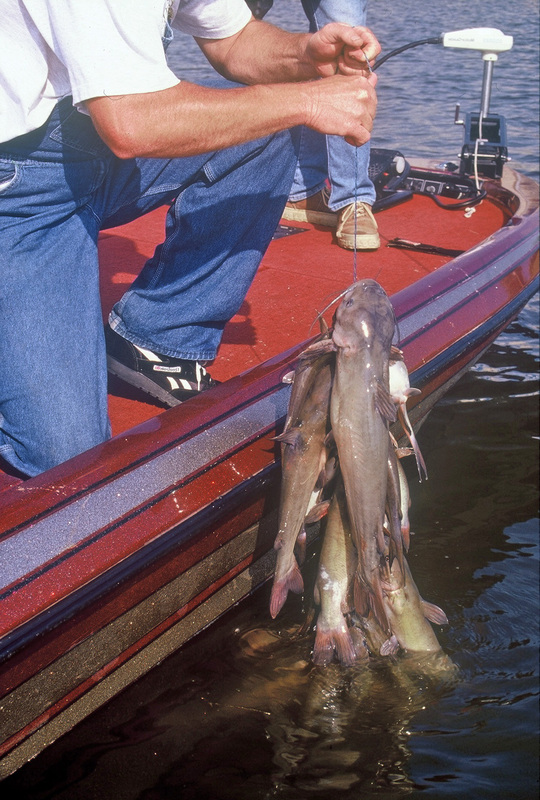 Usually when one talks about Illinois catfish lakes, they are Channel Catfish waters. Baldwin Lake, in St. Clair and Randolph counties, does have a channel catfish population it is not the one producing large fish. The competition for food is too great in this lake. Catfish action here is with the Blues and Flatheads. Blue catfish in this lake run from 8 to 60 pounds in weight. Sixty-three pound fish have been caught. Flatheads tend to be from seven to 30 pounds with 63-pounds being the largest caught. It is believed that 70-pound plus fish live in the lake. 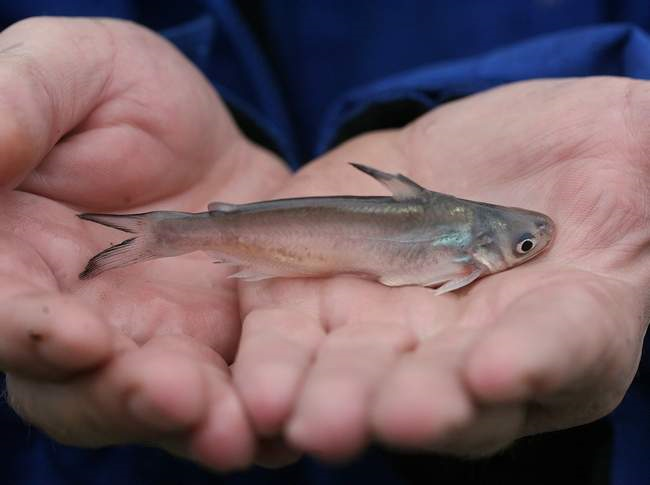 The blue catfish feed on the extensive shad forage base and are most often taken by anglers using shad for bait. There both Gizzard Shad and Threadfin Shad are present. Both populations do well in the warm water of this cooling lake. Threadfin shad die in other lakes when the water temperatures reach 47-degrees and lower. As a result, some IDNR fisheries managers from other parts of the state will capture threadfin at Baldwin and transfer them to lakes in their areas. The Flatheads also like the shad but will feed just as well on bluegills. Because of the flathead consumption of bluegills the bluegill population is just OK. No real large fish are caught. However, another sunfish is doing very well. Redear sunfish have flourished since being reintroduced into the lake. They are about 10-inches in length at this time which has surprised biologists. The Longear sunfish and Bluegills are not doing as well. Largemouth bass in the 3 to 5-pound range are present but they are not caught by anglers in any great numbers. 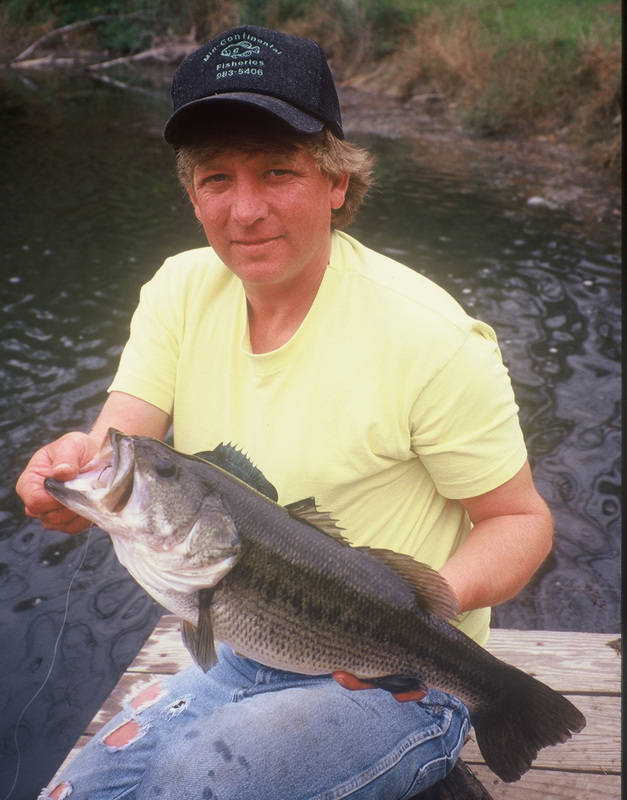 Hybrid bass, a cross between white bass and stripers, were once a great species in this lake but they have not been stocked in the lake for a number of years and do not reproduce. Some hybrids are caught each year but not in large numbers. Smallmouth bass were introduced to the lake and have adapted well. Today they are found all over the lake. When water is being pumped into the lake on the south end from the Kaskaskia River smallmouth tend to be attracted. If smallmouths are not present in that area you can check at the hot water discharge area. It is where water is pumped out of the plant in the north end of the lake. The smallmouths are up to 5 pounds in size and 22-inches in length. Most are in the three to five pound class. Most people tend to fish the north end of the lake near the levy at the hot water discharge in the fall and winter. Most of the south half of the lake is closed then as a refuge for migrating waterfowl. Parking for levy anglers can be found in the northwest portion of the lake area. The boat launch is just south of the parking area. Baldwin Lake is found in the Baldwin Lake State Fish & Wildlife Area. The 2,018-acre perched cooling lake is owned by the Illinois Power Company but is leased to the IDNR to manage for recreational use. Illinois Route 154 runs through the town of Baldwin. In Baldwin, anglers can turn north on 5th Street and travel 4 miles to the intersection of 5th and Risdon School Road just past the power station. Turn west and the park entrance is about a mile. By following a few guidelines, one can have a great day in the outdoors as a ground pounder. For an urban lake, Lake Springfield is large, well-developed and well stocked. This capitol city lake is a 3,866-acre lake with 57 miles of shoreline. There are few lakes in the state of such size that boast such a high population of largemouth bass. The density as well as body condition of the fish is good creating an excellent fishery. 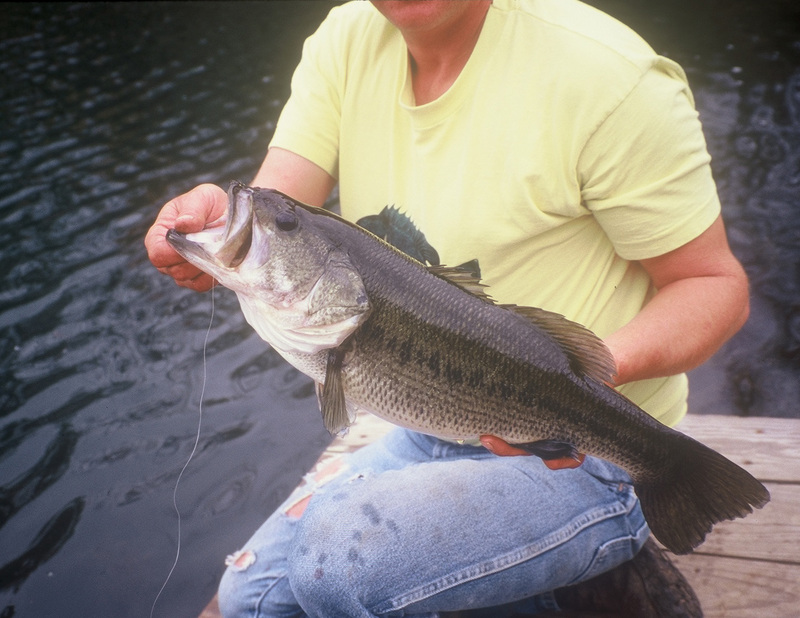 The bass are typically more heavily bodied per length than is found in other bass populations statewide. Bass in this fishery average 16-inches in length while statewide the average is more like 14 to 15-inches. 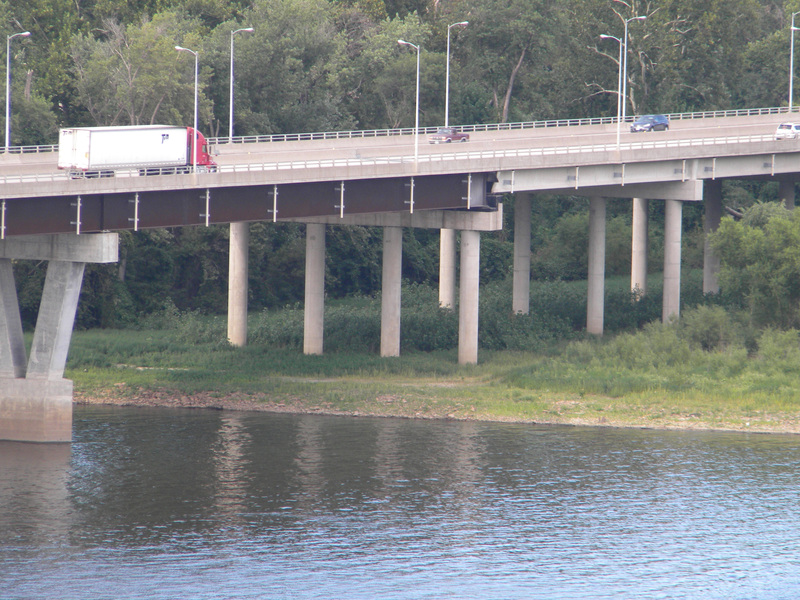 The City of Springfield and the IDNR work together in managing the fishery. The lake is located on the south side of Springfield. Shore fishing is available in public fishing areas, rip rap areas and there are a number of boat ramps. There is a 25-hp motor restriction. Large populations of gizzard and threadfin shad provide the bass with an excellent supply of forage. In the colder weather the warm water areas of the lake provide excellent fishing. Spring is a good time to fish the lake as the summer season means heavy recreational boating, skiing and wave runner use. The warming water of this power plant lake provides action earlier in the season than other Illinois lakes as well as an almost continuous feeding season. In addition to the large amount of riprap there is a considerable amount of underwater structure and vegetation. In addition the water quality in the lake is better today than in the past 25 to 30 years. The bass most often will take plastics or jerk baits. The lake’s channel catfish and flathead catfish fishery is near the top in ranking statewide. Anglers report catches of channel catfish of 1 to 10-pounds. 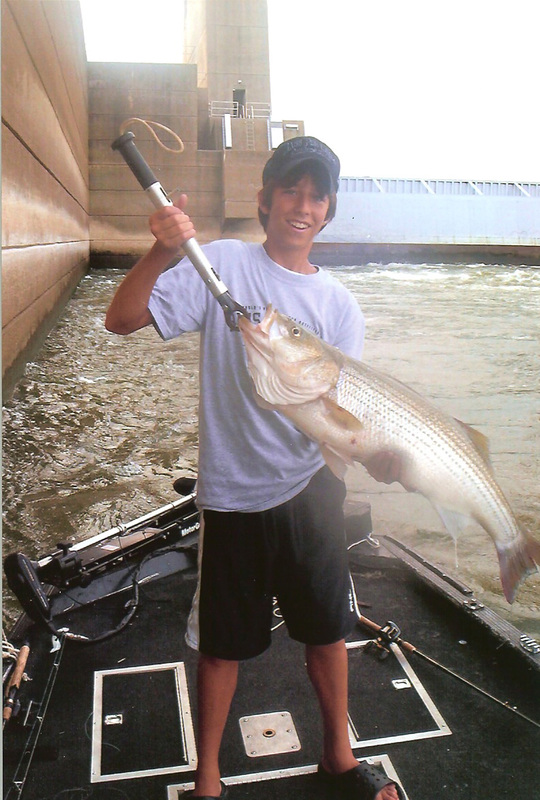 Angler reports fish weighing up to 50-pounds are common. Blue catfish supplied by a local catfish organization are doing well in the lake with fish of 3 to 57-pounds caught. Additional fishing for such species as white bass, bluegill, sauger, walleye and crappies is available.